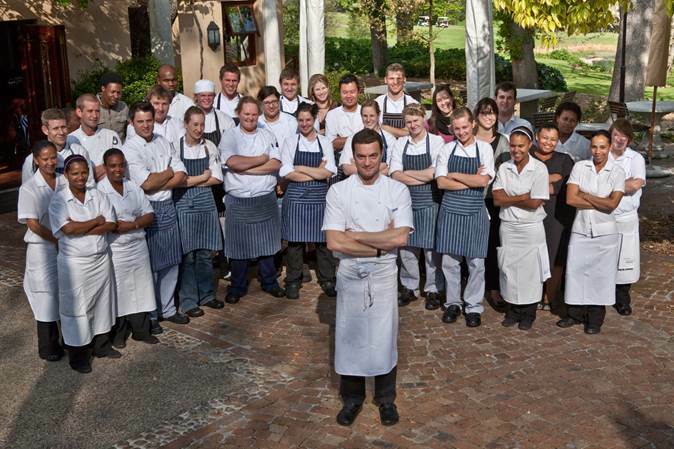 Michael Broughton, renowned and much lauded chef of Terroir on the Kleine Zalze Estate is such a modest chap. 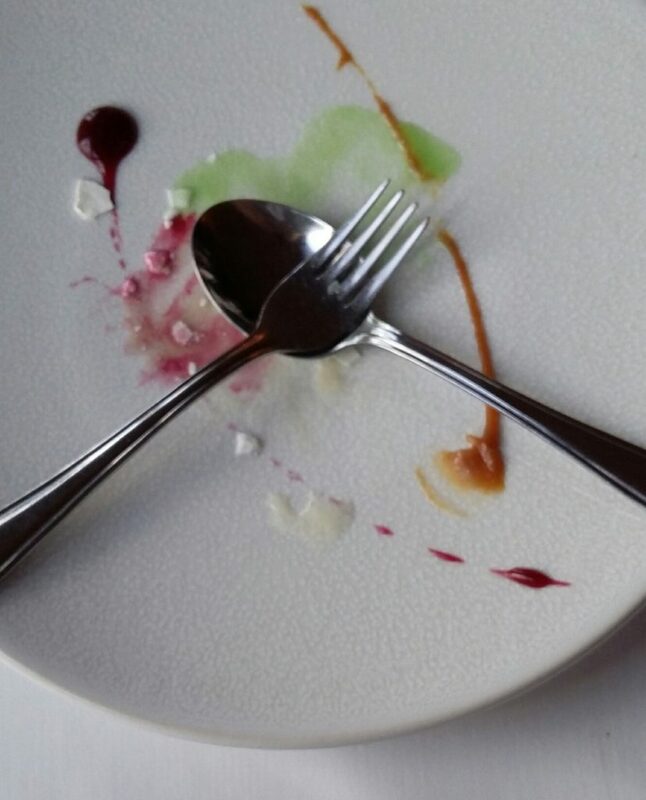 His food is ambrosial and it is no mistake in the judges in the national competitions choosing him for awards. I have eaten at Terroir over a number of years and drawing up at the front door always brings a little frisson of excitement. Always excellent service, fabulous food and of course the stunning Kleine Zalze Wines. At a recent lunch there, I had what I keep on thinking back to a one of my favourite dishes of 2016. It was his Prawn Risotto with Sauce Americaine. 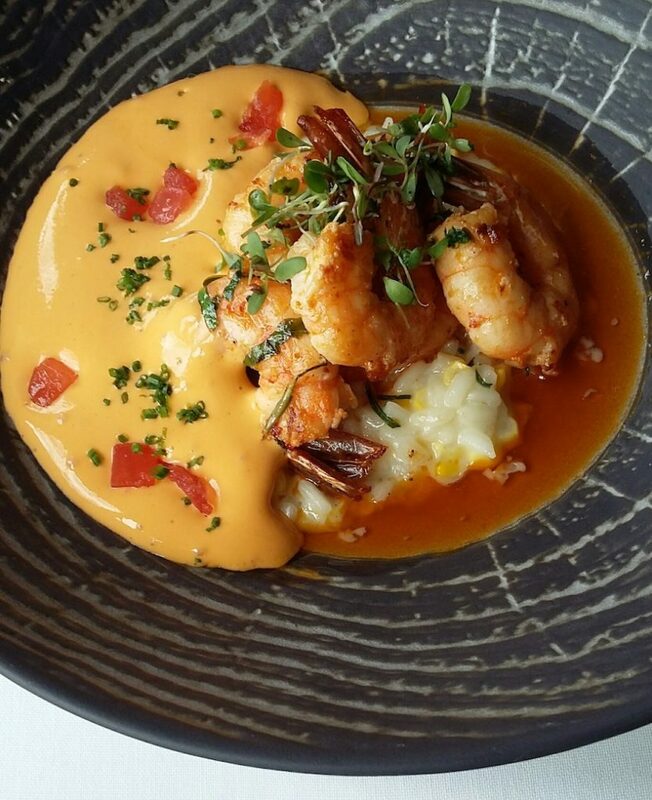 Sublime textures risotto, a gathering of the most perfectly cooked prawns covered in the most ambrosial of sauces. Sauce Americaine, also known as Amoricaine, is a traditional fish sauce from coastal Brittany, made with tomatoes, brandy and white wine, Michael garnishes it with an emulsion sauce with a lot of butter beaten in. I think he has angels in the kitchen making it. 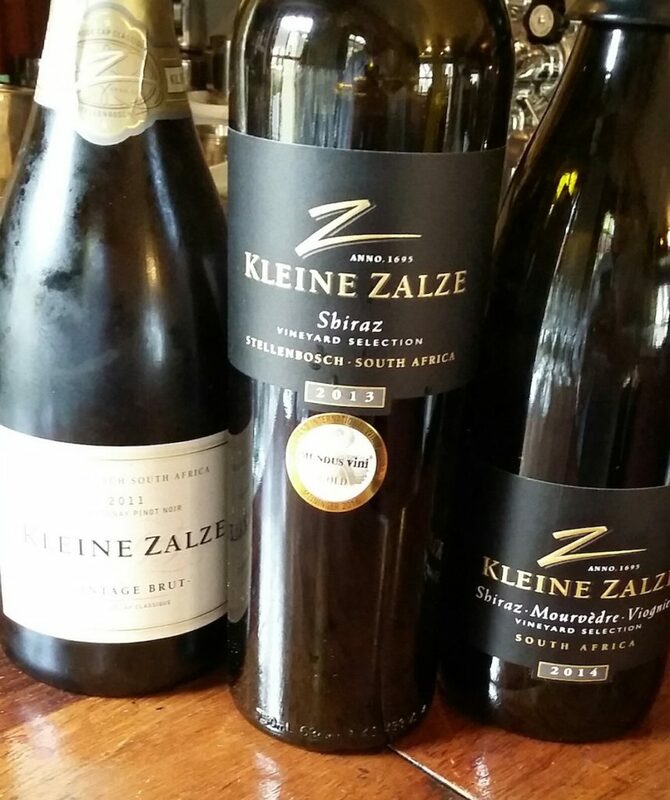 During meal of a number of courses, we started off with the Kleine Zalze MCC Vintage Brut 2011, and followed with glasses of the Kleine Zalze Vineyard Selection Shiraz and Cabernet Sauvignon 2013. Classical Champagne style wine made from selected parcels of the traditional grape varieties Chardonnay and Pinot Noir, bottle fermented and matured for three years prior to disgorgement. Elegant gem bright gold with a fine mousse, intense nose and fine mousse. Fresh baked almond brioche, creamy on centre palate and minerals in the long aftertaste. Intense essenced flavours, an expression of the vintage. Masses of berry fruits and dark plums, spice and vanilla oakiness. Well integrated tannins and wood in an elegant aftertaste. Yay for Stellenbosch Cabernet. Punchy Cabernet whiffs, Morello cherries and blackcurrant fruit. Excellent full flavours with oak and tannins beautifully interwoven. Dignified aftertaste. Laster, this wine. A happy time which we would like to repeat – often. Thank you Michael and team for the kind invitation.